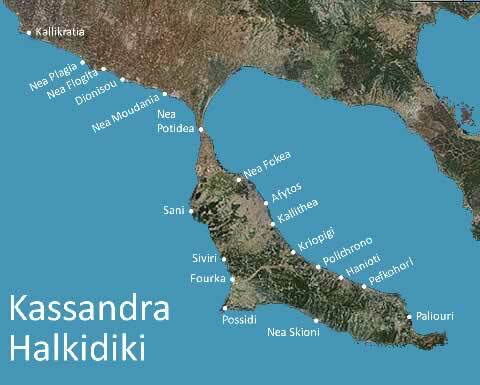 There is a good variety of beaches on Kassandra peninsula. 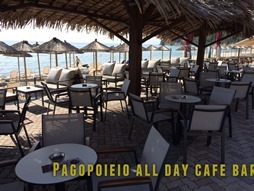 You could find beaches with organized beach bars or If you are looking for something different there are many remote beaches which are usually completely empty. 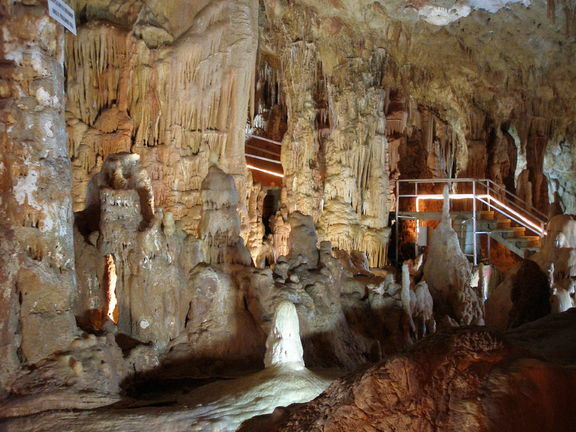 Petralona cave is located about one kilometer from the village Petralona in Chalkidiki Macedonia. It is open to the public since 1979. The cave was discovered by the Mars Paulianos traces of habitation Archanthropinae approximately 700,000 years, estimated itself the oldest European ancestors have been found to date. 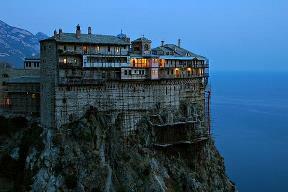 Located in the nearby village of Hanioti, Polichrono, 300m height and about 3 km from the main road. 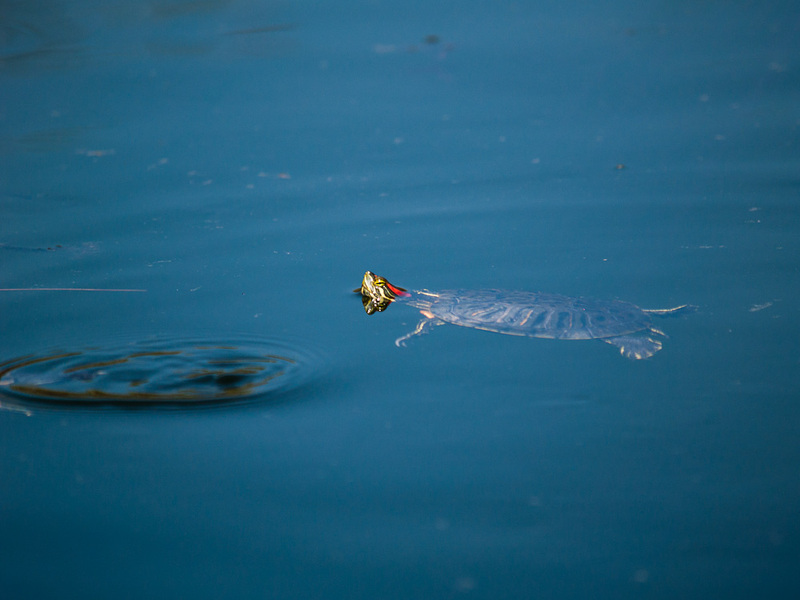 A freshwater lake with a total area of 2,200 sq.m., where they find resort refuge two rare turtle water already belonging to the families "Emydidae" "emys orbicularis" and "Mauremys caspica". It is worth to visit and admire the rare beauty of the lake. A good opportunity to make a day trip to Thessaloniki (90KM) and discover the remarkable monuments of the city such as the White Tower, the Castle, the church of Agios Dimitrios and many other early Christian churches like the Church of God and Wisdom several museums including the Archaeological. Also you can visit the many shops and malls. Also important monument that you can visit, and very famous because of the recent excavations and findings, is the area of Amphipolis and specific the hill Kasta and also like the archaeological museum in the region.